One of the coolest shirts in our selection, the Rockers polo is 100% pique cotton. 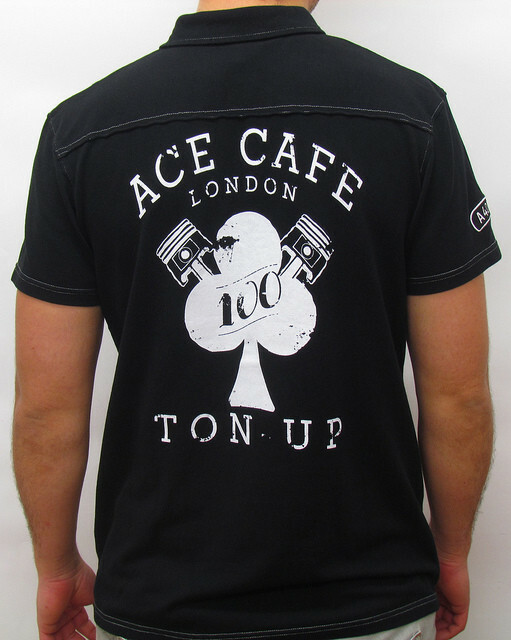 Some great logo placements on this piece include the legendary Rockers logo on the left chest, an embroidered Ace Plate logo on the right sleve, and an awesome Ton - Up screen print on the full back. Some great contrast stitching and the checkered flag taper pulls this one of a kind polo together.